Electric cars designed for the city that are both innovative and affordable. In 2020, Uniti will be launching their first mass produced electric vehicles in the UK and Nordic countries, with a US launch planned soon after. The cars will be built in their pilot plant at Silverstone, which will be fully digitalised. Partners of the business include Siemens, E.ON, Kuka and Tele.2 amongst many others. A prototype was built in 2017 and the next production model will be revealed in 2019. The below content is from social media taken from external sites and is not representative of the views of businessagent.com or Uniti - Electric Car. 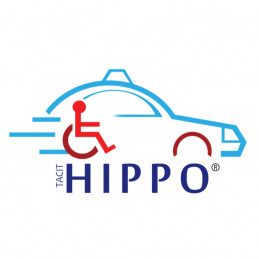 Hippo aims to be the dedicated transportation service for non-emergency and impaired medical victims. With private care homes as customers and an NHS deal secured, they intend to allow quicker hospital bed rotation, free ambulances to attend more emergencies and decreased A&E waiting times. It is currently operating in South East Essex, having an association with South Essex Care & Health Association, and have an NHS deal in place as well. For the future, Hippo aims to develop a specialised management and booking solution that will combine its video camera system, so that patients can be monitored during the journey by the NHS and family members. SHERPR is the ultimate door to door solution for transporting sports equipment, namely bikes, skis, snowboards and golf clubs. The company delivers premium packaging specifically designed to protect sports equipments in transit. The SHERPR business model taps into the growing leisure market with three core offerings: door to door transportation, bespoke logistic solutions for mass participation events, and a range of bike boxes. SHERPR has achieved impressive growth quarter on quarter and is currently looking to capitalize on the demands that it has created since its launch in 2017. Riversimple is a vehicle manufacturer and assistance provider exploring ‘next-generation’ electric vehicles. It offers its customers the first inexpensive, fun-to-drive and easy eco-car, delivered with a complete and cost-transparent subscription service. Riversimple has gained an investor base of over 950 shareholders from 21 countries including NZ, Japan, India and many more. The company has already raised over £2M, and its next step is to grow the engineering team and boost the volume of production engineering to enable it to reach commercialisation by 2021.